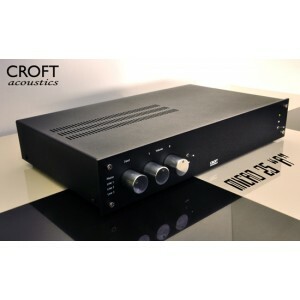 Croft Acoustics Micro 25 version "R" (available on 0% finance) is Croft's flagship pre amplifier and probably the best performing pre amplifier Glenn Croft has ever designed. It seems that Glenn's venture into the hybrid realm (mixed solid state and valve design) in recent years have produced a circuit which sounds so smooth. 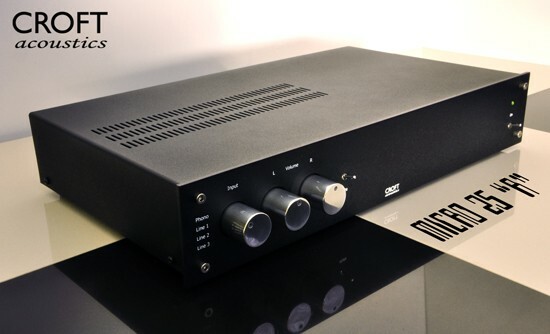 This model includes a Mosfet regulated power supply which arguably makes a big difference to the sound - valve purists may not like this fact but it really does perform. This pre-amp is a sort of hybrid design with a SSD doing the job of the usual cathode follower valve. Glenn says that "hybrid" is not really a correct description as the Mosfet is not really in the direct signal path. The power supply consists of two large toroids and features a regulated HT. It also includes an MM phono stage and 3 line level inputs.